If you have suffered an amputation injury, any compensation awarded will be based on the pain and suffering you have incurred alongside sums for other considerations including the cost of treatment, and the supply and maintenance of equipment you may need. A court will examine how your life has been affected by your injury and how much benefit you will gain from rehabilitation therapies, different types of prosthesis and required adaptations to your home. Suitability for a functional prosthesis? As a primary amputee (someone who has recently undergone surgery) determining what type of prosthesis will suit you best can be a complex process. Not all amputees will be suitable candidates for prostheses, and it may take several months of physiotherapy before you are ready to be assessed. Generally, a prosthetist (specialist in artificial limbs) and technician will evaluate what components you will need and whether you will be able to bear the strain of using a functional limb. Some patients may be recommended for a cosmetic prosthesis only – these generally look like a real limb, but have little or no function, i.e. no moving joints or task-fulfilling capabilities such as the ability to grip onto objects. Prosthetic limbs generally consist of a "socket" (the connection between the prosthesis and the patient's body), the mechanism for attachment, and a control system. The socket needs to be carefully prepared and moulded so that it creates a good fit onto the patient's residual limb or "stump". New sockets will need to be made as the size and shape of the residual limb changes. There are many advancements being made in this field including the use of laser scanning and 3D printing. The attachment mechanism will secure the prosthesis to the patient's body through a suspension system (for example an elastic sleeve, straps and harness, or a suction socket). The fit is vital as this will determine the level of control of the limb as well as the level of comfort experienced by the patient. The control system for prosthetic limbs ranges from a simple system of cables which serve to replicate muscles while also operating a pincer, through to sophisticated myoelectric equipment which uses the patient's muscular impulses to control electric motors in the artificial limb; so when the patient thinks, "I want to move my fingers", the muscles in the residual limb send electrical signals to the motors in the artificial hand which then move accordingly. Naturally, the costs involved in fitting, supplying, and maintaining a functional prosthetic limb are far higher than that of a basic cosmetic limb. In most cases the NHS will aim to provide a basic limb to most amputees, but the patient will need to pay if more advanced equipment is required. When an amputation injury has been caused by the negligence of another party, Thompsons solicitors in Scotland make it a priority to ensure the client can achieve the best outcome possible. This may involve seeking amounts for advanced prosthetic limbs and all associated costs. In a recent case, our client had suffered a traumatic amputation injury in a work accident and Thompsons was able to prove that he would benefit significantly from a functional prosthetic arm and hand rather than a cosmetic prosthesis. The court agreed and our client's compensation sum reflected this. Thompsons personal injury solicitors in Scotland only ever work for claimants. 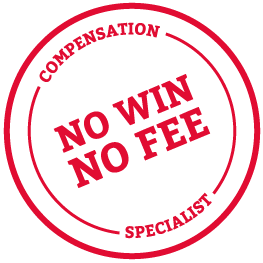 We will strive to ensure you receive the fullest amount of compensation you deserve. If you would like to talk to a solicitor about making an amputation injury compensation claim please contact us today on 0800 0891 331. You can also find out more by reading our amputation claim FAQs page.